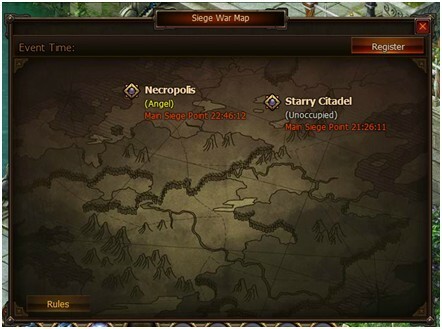 Click on the “Siege War” button above to access the world map and view the Siege Points you can attack. A Guild can only challenge one Siege Point at a time. Only members with the rank of Lieutenant or higher may register. 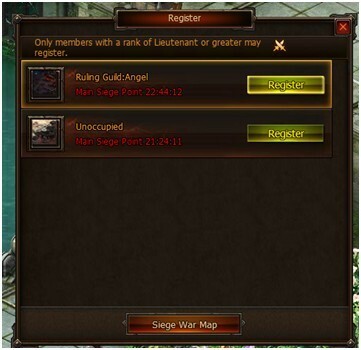 When the Siege Point is open for challengers, members of guilds that successfully registered for the Siege Point can enter the Siege Point through this interface.